Vegan Coconut oil Wet Shave Shaving Soap in a jar is for wet shavers that prefer a non-animal, vegetable based, basic natural shave soap. Artisan handmade shaving soap is made with pure coconut oil for a satisfying and clean shave, natural stearic acid for fine, long lasting lather with stable, creamy bubbles and vegetable derived glycerin for its humectant properties and a smoother, closer shave. Coconut oil shaving soap works well in both soft and hard water, including ocean water! Natural coconut vegan shaving soap comes in a wide jar, so it’s easy to load up your shaving brush. Use this wet shave soap in a shaving mug or a scuttle, or apply directly to your face from the brush. It comes unscented. I can easily custom scent it for you if you prefer a scented soap. See the extensive Scent List and choose your favorite. 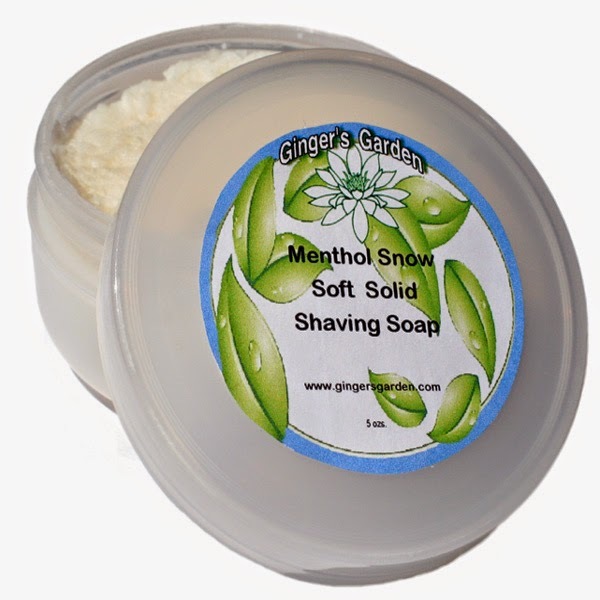 My vegan shaving soaps are made in small batches to assure you of a quality product. Menthol Snow essential oil mint blend with menthol is shown in the photo for illustrative purposes.